Almost every time I do a poll on Instagram, you guys ask for more recipes which is so funny because I'm actually not the chef in our family. If it weren't for Collin, I'd probably live off rice, spaghetti, and eggs. So Collin is being a huge team player for Trendy in Indy this week in helping me with content creation and meal prep. I've had the opportunity to partner with Carmel Market District for all of the recipes you guys will see this week. We generally grocery shop on Sunday's, and this Sunday was no different. I say "we," but Collin generally goes to the grocery while I clean the house. Today was a fun adventure at Carmel Market District for us and we were able to talk to Chef Brandon and Chef Jen who helped us enhance our recipes. 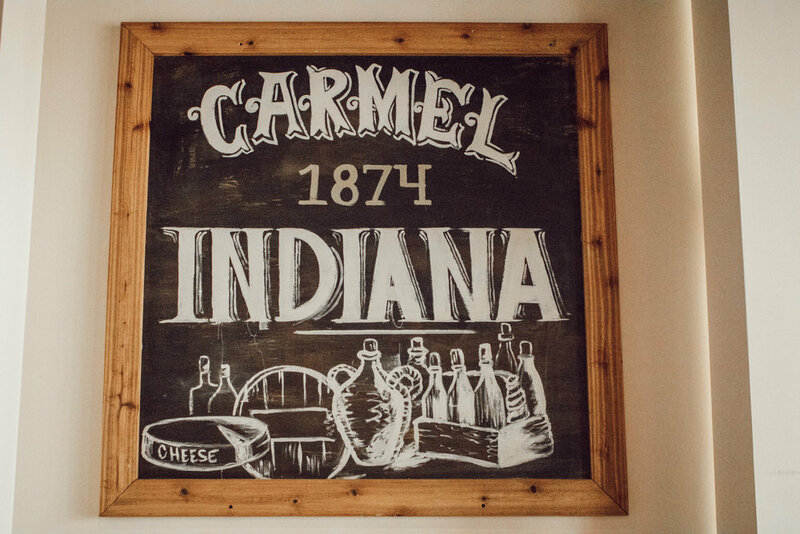 I'm starting this week by telling you guys what we are making, sharing our grocery list, and telling you about our Carmel Market District experience. I've learned that the key for me is to make a list before going to the grocery because if I don't I buy entirely too much. Collin and I usually make breakfast on Sunday mornings and plan our meals for the week at that time. Let's dive into the details. First you guys should know that lunch is my least favorite meal of the whole day. I just can't make a decision on what I want, I don't like eating the same thing everyday, and sometimes I don't even have time for lunch (which yes, I know is bad). That being said, this week we are making my favorite mason jar salads. I love these because I can alternate which one I eat each day and I can meal prep them on Sunday. Tomorrow I will share the recipes with you, but I'm making a Strawberry Lime Salad and an Orange Marmalade Salad. Collin keeps it simple on the weeks he is home. He will sometimes go out for lunch when he's in the office, but this week he's taking mesquite smoked turkey and cheddar cheese for sandwiches, apples, and chips. This week we are having our famous gumbo, taco skillet, and an easy chicken, broccoli, potato meal. We usually make two to three meals per week, go out for a night, and eat leftovers. I'm going to share the recipes for all of these later in the week. I've included today's shopping list below. Mind you that things like gluten free flour, eggs, and other basics are items we already had at home. A couple of months ago, we enjoyed a delicious meal at Table by Market District which is the restaurant attached to the grocery. If you haven't been, you absolutely need to, but I was excited to actually shop today. 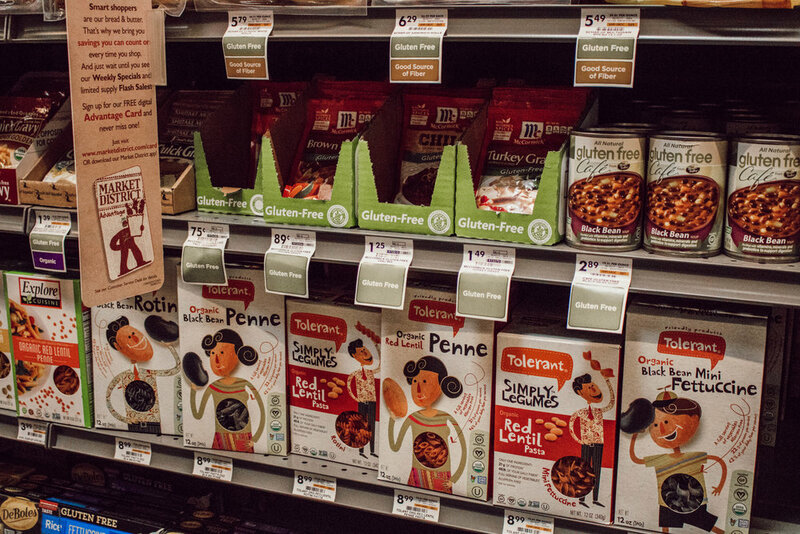 Whenever I visit a grocery store, I immediately look for a gluten free section. The one at Market District was HUGE and had graham crackers so s'mores here I come! They also had soups which are incredibly hard to find. This grocery has a variety of brand name products, Giant Eagle products (their brand), and local products. They also offer some specialty items like olive oils and vinegars that we are trying out this week. The chefs and staff were extremely helpful in giving us suggestions to enhance our recipes and find items. I personally prefer to shop at a grocery like Carmel Market District because the experience feels a bit more special for some reason. 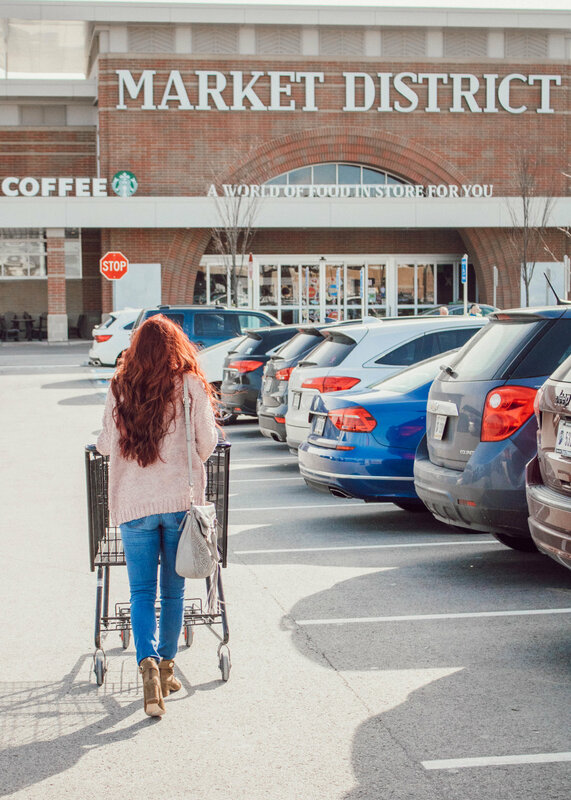 Going to the grocery turns into an adventure filled with new opportunities instead of the same repetitive process week after week. You can follow Carmel Market District on Facebook and check out more store details here. Here's to a week filled with delicious food! This post was sponsored by Carmel Market District. All thoughts and opinions are my own. 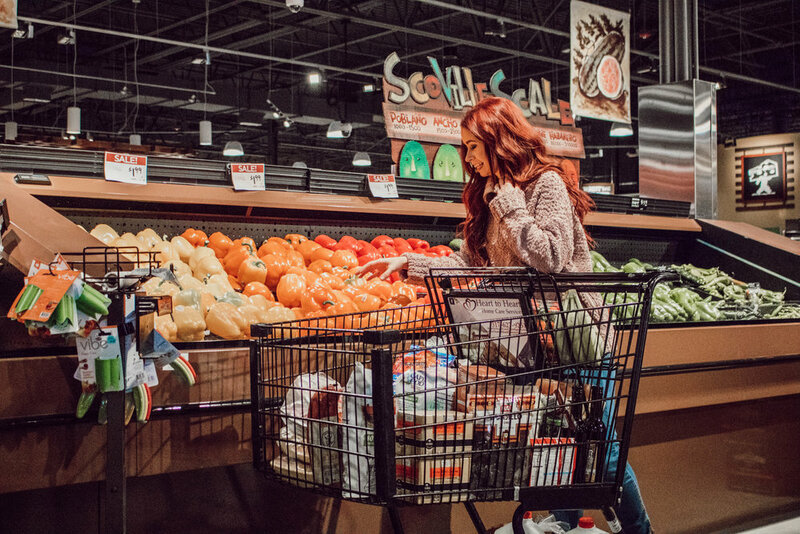 For a little more about Market District as a whole, read this general info or click here: "The Market District destination store concept offers an enhanced food shopping experience geared toward food enthusiasts. Market District offers specialty and unique items not found elsewhere in an environment where customers’ passion for food can be cultivated by a staff of food experts. In 13 locations in southwestern Pennsylvania, Ohio and Indiana, Market District stores feature teams of chefs and other culinary professionals preparing fresh foods from scratch every day. Market District also offers customers the rare opportunity to find natural, organic, specialty and other unique items paired with the convenience of favorite national brands and everyday needs all under the same roof."